Attach it to the location you prefer (Header Menu, Responsive Menu, Top Left Menu, Top Right Menu, Footer Menu) and save again! 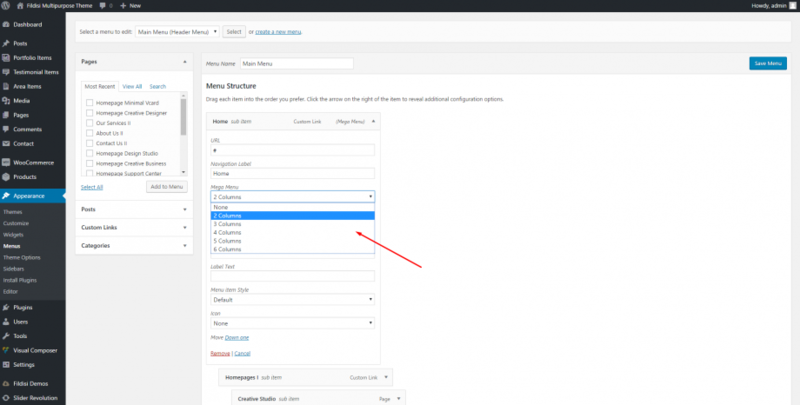 You can easily convert any submenu you want into mega menu by selecting from the drop down menu the columns you need for your mega menu. 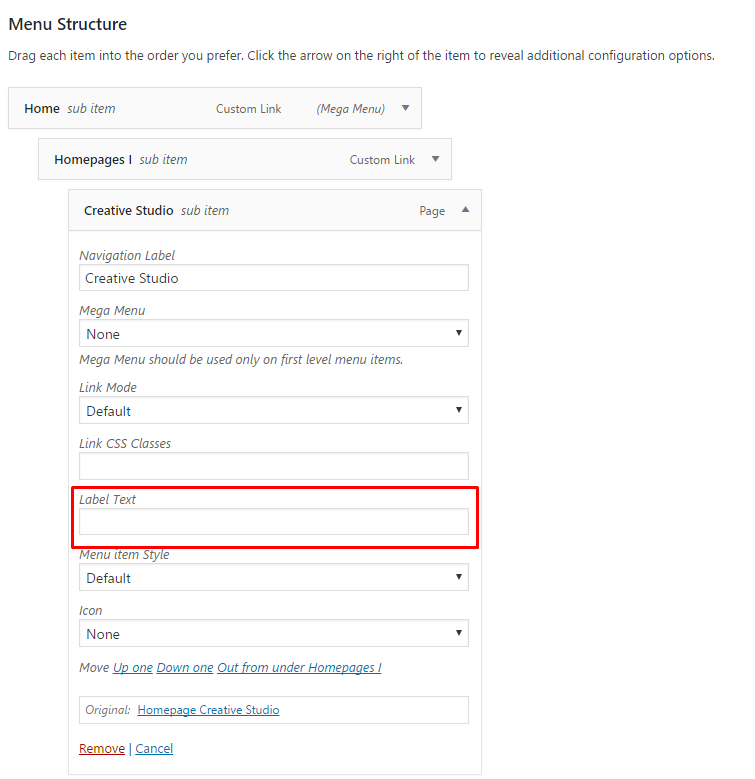 Check the picture below on how to set a mega menu with 3 columns. You can easily create colored menu buttons with the wording you want in any menu item of your menu. You can set the colors you prefer, primary colors are included, for the background and the hover color. You can easily create labels with the wording you want in any menu item of your menu. Just add in the label text field the text you need and you are ready to go! See the picture below.